The 4 stars Hotel Bravo Club Arenal has recently reopened its door to the international market after restoration works and year of exclusivity with the Italian market. 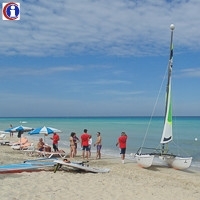 Bravo Club Arenal is s situated in the Playas del Este (Eastern Havana Beaches) area, right on Santa Maria Del Mar, only 27 km (16,78 miles) from Havana City that is just a 25-minutes drive. 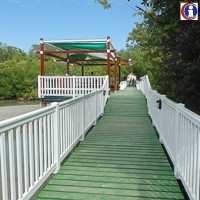 Santa Maria Del Mar beach a beach with crystal-clear waters surrounded by the beautiful Itabo Lagoon, natural habitat of red mangrove, beach berries and many species of fish and birds. 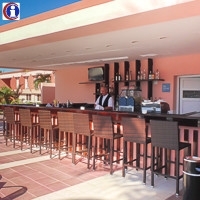 Entertainment is not missing at Hotel Bravo Club Arenal; while there you can take part to a full range of watersports such as catamaran, pedal boats, windsurfs, canoes and kayaks and fields sports including volleyball, tennis and table tennis. In the evening, you can also join the hotel's disco. 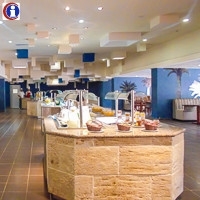 The all-inclusive Club Arenal offers a buffet restaurant, which mainly serves Italian style food and Espresso Coffee, a beach bar and the snack bar "Parrillada", which provides late breakfasts and light lunches or snacks during the day and fish and lobster dinners (for an additional fee and by reservation only) during the evening and where ice cream is always available (extra fee). The spacious rooms are located in 3 two-storey buildings and some of them have sea view. Hotel Bravo Club Arenal is a top choice if you wish to enjoy the breathtaking Cuban beaches and take few days trips to Havana, the colourful Cuban capital. 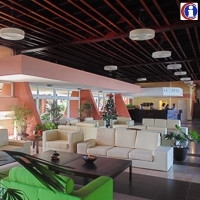 This resort was previously known as Hotel Blau Club Arenal.